Bernard Adolph Schriever was born on 14 September 1910 in Bremen, Germany. His father was an engineering officer on a German ship which was interned in New York Harbor in 1916, as World War I was becoming heated. His mother, Elizabeth, was able to get passage for herself and her two sons aboard a Dutch freighter bound for New York so that she could rejoin her husband. The family arrived in January 1917, just before the U.S. entered the war. The Schriever family moved to New Braunfels, TX, a community with a large German-speaking population, and then later to San Antonio, TX. His father died in an accident in 1918, leaving Schriever and his brother in foster care until his grandmother was able to come from Germany to take care of them so that their mother could work. Schriever became a naturalized citizen in 1923. Schriever earned a Bachelor of Science from Texas A&M University in 1931 while participating in the School's Corps of Cadets. He received a commission as a Second Lieutenant in the U.S. Army Field Artillery but, in July 1932, he began Primary Flight Training at Randolph Field, TX. He was commissioned into the U.S. Army Air Corps in June 1933. He served in Panama where he was Aide-de-Camp to Brigadier General George H. Brett. He met, wooed, and married the General's eldest daughter, Dora Devol Brett. After serving in Panama at Albrook Field, Schriever was forced out of the Air Corps in 1937 due to budget cuts and became a pilot with Northwest Airlines. 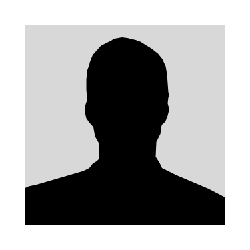 The following year he rejoined the military, becoming a test pilot. He graduated from the Air Corps Engineering School in July 1941, and received an M.A. in Aeronautical Engineering from Stanford University in 1942. He also received a promotion to the rank of Major. Although Schriever requested a transfer to a combat zone after the bombing of Pearl Harbor launched the U.S. into World War II, his request was not approved until after his studies were completed. In July 1942 he was assigned to the 19th Bomb Group in the Pacific Theater as a bomber pilot. When his unit was reassigned to the U.S. in 1943, Schriever moved to the 5th Air Force Service Command where he eventually became Commanding Officer of advanced headquarters for the Far East Air Service Command, serving under General Curtis LeMay. This meant he was now in charge of maintenance for bases in New Guinea, Leyte, Manila, and Okinawa, Japan. By the end of the war he had progressed to the rank of Colonel. After the war ended, Schriever reported to the Army Air Forces Headquarters, serving in various capacities for much of the next decade. In this time he also graduated from the National War College, and was promoted to Brigadier General. In 1954 he headed a group of USAF officers who formed the Western Development Division under the Air Research Development Command. This Division was responsible for creating the intercontinental ballistic missile, among others. The research also led to breakthroughs that allowed satellites to be launched into space. 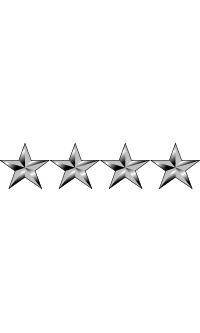 Schriever was promoted to the four-star rank of General on 1 July 1961 and became Commander of a new organization, the Air Force Systems Command, which was responsible for acquiring all missiles. By 1963, he oversaw 40 percent of the Air Force budget. 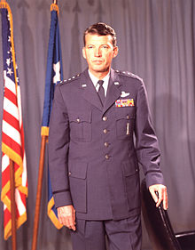 General Schriever retired from the Air Force in 1966. He was rated as a Command Pilot. • While a Major General, he was on the cover of Time magazine's 1 April 1957 issue. • He was awarded the Delmer S. Fahrney Medal in 1982. • In honor of his Air Force service, on 5 June 1998, Schriever Air Force Base, located near Colorado Springs, CO, was named for him. He is the only person to have a military installation named after him during his lifetime. • In 1999 he was awarded the NASA Distinguished Public Service Medal. • In 2004, the Space Foundation awarded General Schriever its highest honor, the General James E. Hill Lifetime Space Achievement Award, which is presented annually to recognize outstanding individuals who have distinguished themselves through lifetime contributions to the welfare or betterment of humankind through the exploration, development and use of space, or the use of space technology, information, themes or resources in academic, cultural, industrial or other pursuits of broad benefit to humanity. • A Fiery Peace in a Cold War, a book by Neil Sheehan, describes Schriever's work, in detail, during the Cold War years. After his retirement, he continued to act as an advisor for various government clients. He was a member of the President's Foreign Intelligence Advisory Board; the Defense Science Board; and the Ballistic Missile Defense Organization Advisory Committee. Schriever and his first wife, Dora Devol Brett Schriever, had three children together: Brett, Dodie, and Barbara. On 5 October 1997, Schriever married his second wife, the popular singer Joni James. General Bernard Adolph Schriever died on 20 June 2005 at the age of 94 from complications of pneumonia. He is buried at Arlington National Cemetery in Arlington, VA, in Section 34, Lot 162. Military Hall of Honor, LLC © 2019 All Rights Reserved.